Up to 7,000 more students are to move into Belfast city centre in the next two years with planners considering a dozen different proposals. Proposals for more than 4,000 student beds are now being considered by planners ahead of a university's move to a new £250 million campus. The two latest published applications, if approved, would see the creation of close to 1,300 bedrooms in Belfast city centre. Ulster University has begun work to transform its existing `art college' campus at the top of Royal Avenue, which will see it transfer most courses from Jordanstown to central Belfast. Student numbers in the city will rise from 2,000 to 15,000. Various sites across Belfast have already been earmarked by developers for extra accommodation, and plans are at different stages. They include proposals to transform some of the city's most instantly recognisable buildings, including the Athletic Stores and former Belfast Institute, into student flats. 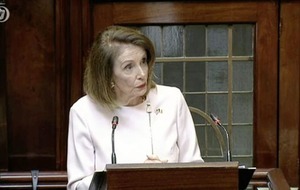 Among other plans lodged are for a 400-bedroom block to be built near the loyalist Sandy Row area of Belfast. Some of the projects have been met by fierce opposition from residents. 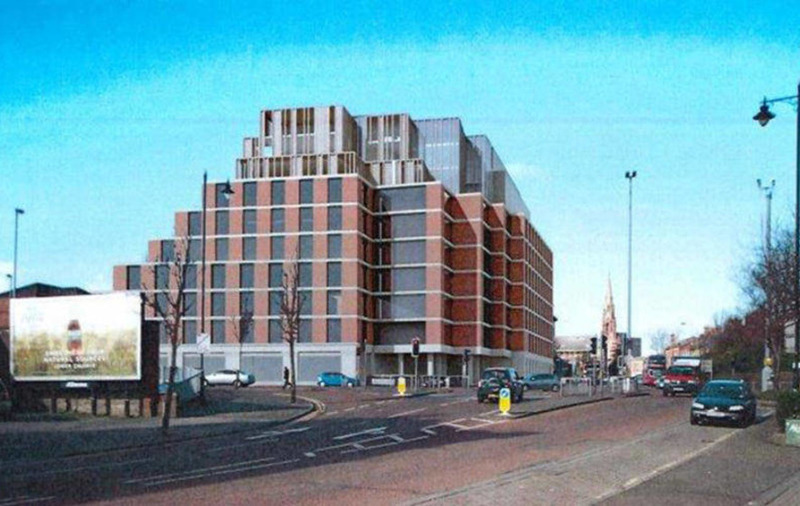 An outline planning application submitted in March proposed "phased demolition of existing buildings and construction of student housing units to include ground level car and bike-park, gymnasium and local retail units" at a site on Clifton Street in north Belfast. Carrick Hill residents protested, saying they were worried that the district would be turned into a new 'Holylands' with a potential for anti-social behaviour. 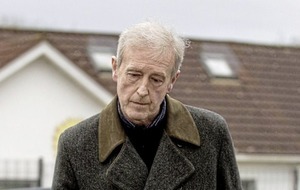 Fr Michael Sheehan of nearby St Patrick's Church also expressed concerns about the 10-storey building, saying "I fail to understand why 3,000 units have to built in such a tiny area". Two new planning applications, published in newspapers yesterday on behalf of the firm McAleer and Rushe, propose creating 804 rooms at College Avenue and a further 476 at the old College of Business Studies. Both will offer a range of accommodation including studios and primarily four, five and six-bedroom `cluster' flats, each with their own ensuite bathrooms and study zones and with a common kitchen, dining and living zone. 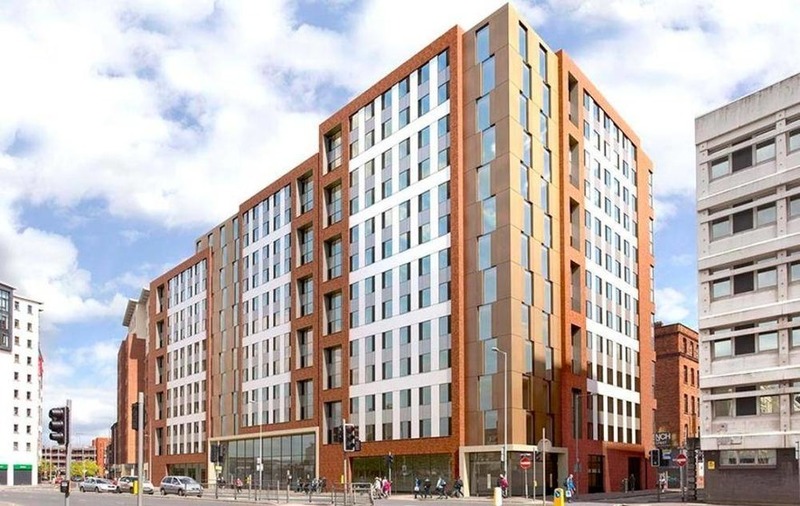 "These are large-scale development and investment projects which underpin our confidence in Belfast and particularly the student accommodation sector where we already have a significant presence," said Stephen Surphlis, property director of McAleer and Rushe. "The development of 1,280 rooms in the city centre will help to address the current shortage of purpose built student accommodation which is significantly below the UK average. "We are planning to commence construction this autumn with the developments being completed for the intake of students in summer 2017." 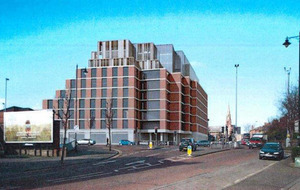 The first new purpose-built student flats, a small scheme at Mark Royal House on Donegall Street near the new campus, is expected to be completed by August.